“Blessed are those who hunger and thirst for righteousness,” Jesus Christ said in Matthew 5:6. What is righteousness, and why does He desire for us to experience such a sense of longing for righteousness? Hunger and thirst are two of the most powerful forces in the human body. There are few physical sensations as compelling as an empty, growling stomach or a parched throat in need of water. Hunger and thirst drive us to take prompt and decisive action. This Beatitude follows on the heels of meekness. As we saw in “Blessed Are the Meek,” biblical meekness refers to power under the control of God’s will. When we submit ourselves to God’s control, we will want to grow to be more like God so that we will fulfill His will even more closely. For the truly meek, this desire to grow will be as strong a sensation as acute hunger and thirst. The fourth of the Beatitudes is, “Blessed are those who hunger and thirst for righteousness, for they shall be filled” (Matthew 5:6). 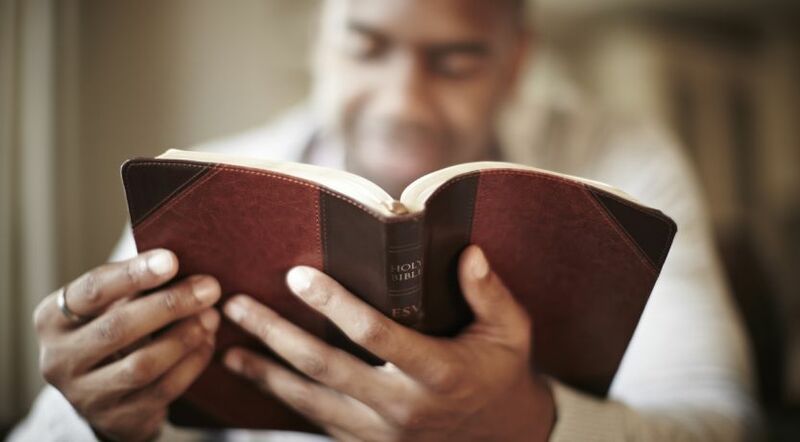 According to Dictionary.com, righteousness is “the quality or state of being righteous” and righteous means “morally right … acting in an upright, moral way; virtuous.” Psalm 119 clarifies the definition from the biblical perspective: “For all Your commandments are righteousness” (Psalm 119:172). There is only one standard of righteousness that a Christian should be interested in: the righteousness of God. God’s righteousness is to be of highest priority and something that we are actively seeking (Matthew 6:33). We should seek God’s righteousness like we seek food and drink—like our lives depend on it. When we are truly hungry and thirsty, we are eager to fill that need. The hunger reaches the point where it consumes our every waking thought. There is no way to ignore such hunger and thirst, and so we naturally experience a drive to satisfy the need to eat and drink as soon as possible. With our hunger and thirst for God’s righteousness, we are to act with the same urgency. Expositor’s Bible Commentary—Abridged Edition notes an even broader meaning of righteousness in this verse, including both “personal righteousness and justice in the broadest sense. These people desire not only that they may wholly do God’s will from the heart, but also that justice may be done everywhere. All unrighteousness grieves them and makes them homesick for the new heaven and earth—the home of righteousness (2 Pe. 3:13)” (note on Matthew 5:6). God knows that mankind has an emptiness that we cannot fill on our own. But He will help us fill it if we go to Him (Psalm 107:9). God is not aloof and forbidding. When we answer His call and seek to know Him and develop His righteousness, He will work with us to achieve that goal (Isaiah 55:1-3). If we ask Him for help, He will answer beyond our expectations (Luke 11:9-13). He knows that mankind has an emptiness that we cannot fill on our own. But He will help us fill it if we go to Him (Psalm 107:9). Those who make the commitment to God’s way of life and repent, are baptized, and have the laying on of hands will receive the Holy Spirit (Acts 2:38). When we receive the Holy Spirit, we begin to be filled with a living water that will continue to flow as long as we eagerly drink of it (John 4:14). God’s righteousness is not the natural goal for mankind. God’s standard seems too high. “Therefore you shall be perfect, just as your Father in heaven is perfect” (Matthew 5:48) seems unreachable and unnecessary to most people. Instead, it is much easier to set a personal standard for righteousness. If we’re not careful, we can find our own righteousness through comparing ourselves to others. Doing so causes us to trust in ourselves for our righteousness (Luke 18:9). Jesus Christ made it very clear in the parable of the Pharisee and the tax collector that this self-righteousness will not carry us far in God’s eyes (Luke 18:10-14). It can be difficult, but we must avoid establishing our standard of righteousness by comparing ourselves to others (2 Corinthians 10:12). “As the deer pants for the water brooks, so pants my soul for You, O God. My soul thirsts for God, for the living God. When shall I come and appear before God?” (Psalm 42:1-2). As this psalm displays, hungering and thirsting for God is more than just a casual desire, but something motivating and life-changing. Many of the psalms show a love of God’s laws and ways that exemplifies this attitude of hungering and thirsting for righteousness. Study Psalm 19 and 119, for example. David wrote, “The law of the LORD is perfect, converting the soul; the testimony of the LORD is sure, making wise the simple; the statutes of the LORD are right, rejoicing the heart; the commandment of the LORD is pure, enlightening the eyes; the fear of the LORD is clean, enduring forever; the judgments of the LORD are true and righteous altogether. More to be desired are they than gold, yea, than much fine gold; sweeter also than honey and the honeycomb. Moreover by them Your servant is warned, and in keeping them there is great reward” (Psalm 19:7-11). This is a beautifully clear picture of someone hungering and thirsting for righteousness. Righteousness has fruits we should be growing with God’s help (Philippians 1:11). A primary fruit of righteousness is internalized obedience. The righteous will live by every word of God (Matthew 4:4). They will have God’s law in their hearts (Isaiah 51:7). We learn about these laws and internalize righteousness by reading the Bible. One of the key purposes of the Bible is to provide “instruction in righteousness” (2 Timothy 3:16). The righteous will read God’s Word and apply it to their lives, internalizing the lessons that God has laid out for us. Learn more about God’s laws and how to live them in our free booklet God’s 10 Commandments: Still Relevant Today.